To those unfamiliar with the permanent makeup industry, the differences between the two main eyebrow treatments can look a little subtle. But the experts at Eye Design know that there are many important factors that go into choosing microblading over Powder Effect and vice versa. 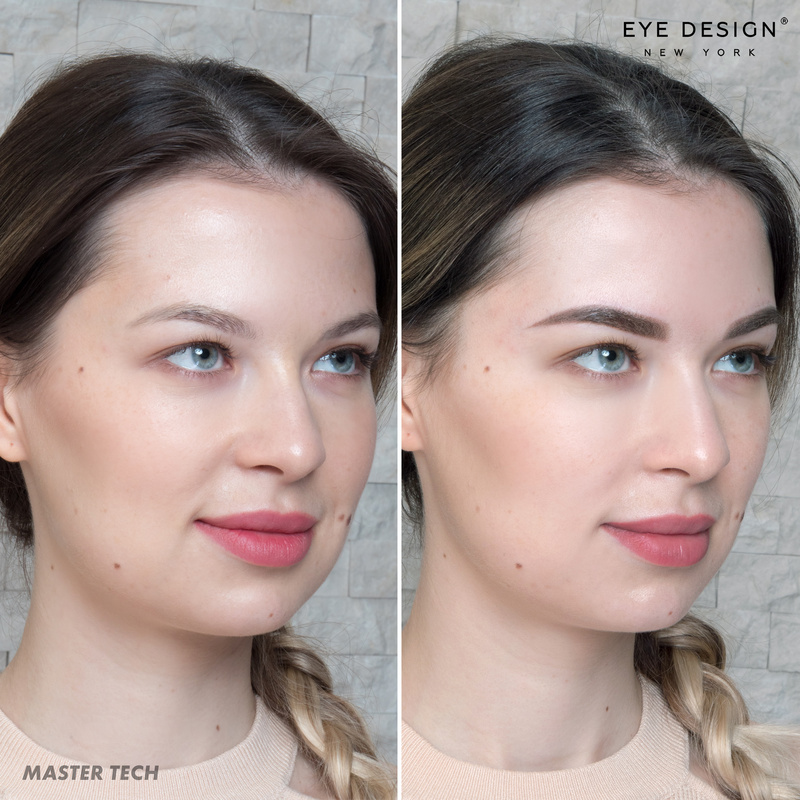 At our studio, microblading and Powder Effect (and Hybrid) cost the same price, so there is no pressure to choose a technique when you make your appointment or even by the time you arrive to your appointment. Rest assured that the first 20 to 40 minutes of your session with us will serve as a consultation so that the technician can assess your features, listen to your personal preferences and help you decide what would be best. Before you head into your appointment, however, you may be nervous (we totally understand!). To put you at ease, we formulated the ultimate comparison between microblading and Powder Effect. This post will be here for you to come back and reference any time you would like! The most obvious difference is how results from the technique will look. Microblading uses pigment to create hyper-realistic hair-like strokes. Powder Effect uses pin-dot pigment application to recreate the flawless, freshly applied makeup you wear every day. Throughout the permanent makeup industry, Powder Effect is also known as microshading or ombré brows. (There are plenty of other names for it, too.) Eye Design’s Powder Effect technique was developed to give our clients a gradient shaded makeup look that can be as subtle or as bold as the individual prefers. While our technicians manually apply hair strokes during Microblading, we use a machine tool for full-on Powder Effect brows. This tool is thinner, gentler and quieter than traditional tattoo needles. For those who choose Hybrid brows, we have a manual Powder Effect method, as well, that we use towards the end of the procedure. Microblading and Powder do have quite a bit in common, though. At Eye Design we want the best for our clients, so we always use the best products before and throughout each procedure. After you approve the shape your technician draws for you, she will apply numbing cream, a topical anesthetic, to ensure you are comfortable. It really works--we have many clients fall asleep while we work on them! Unhappy with pigments available on the market, our founder and Master Technician Nadia Afanaseva developed her own! They are mineral-based, hypoallergenic and have a thick, gel-like consistency that is ideal for creating crisp, clean, beautiful results. The expertly formulated pigment last up to three years under the skin, and unlike others on the market, they do not turn blue/gray or ashy. Instead, they fade naturally over time. Those with a lot of natural eyebrow hairs who want to fill in gaps, create a stronger shape, add definition or darken their brows. 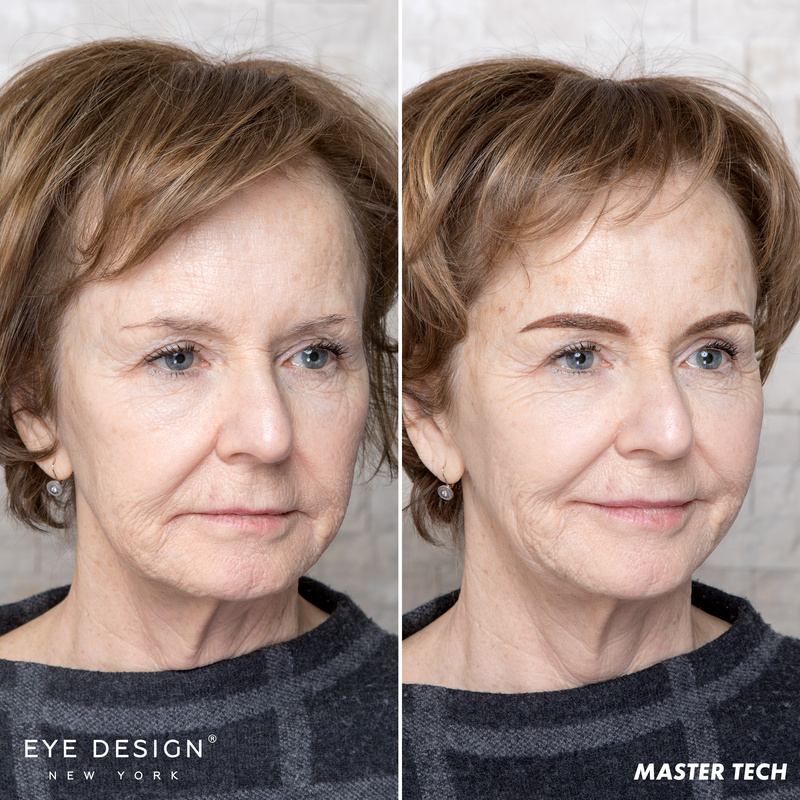 Additionally, Powder Effect can cover old microblading, permanent/semi-permanent makeup or cosmetic tattooing that has (partially) faded, whereas microblading requires laser tattoo removal beforehand. Powder Effect also has less healing downtime. While microblading requires 7 days of dry healing, Powder Effect requires only 3. That is just one of the many reasons our technicians and our clients alike love this technique!